EXCITING NEWS!!!! 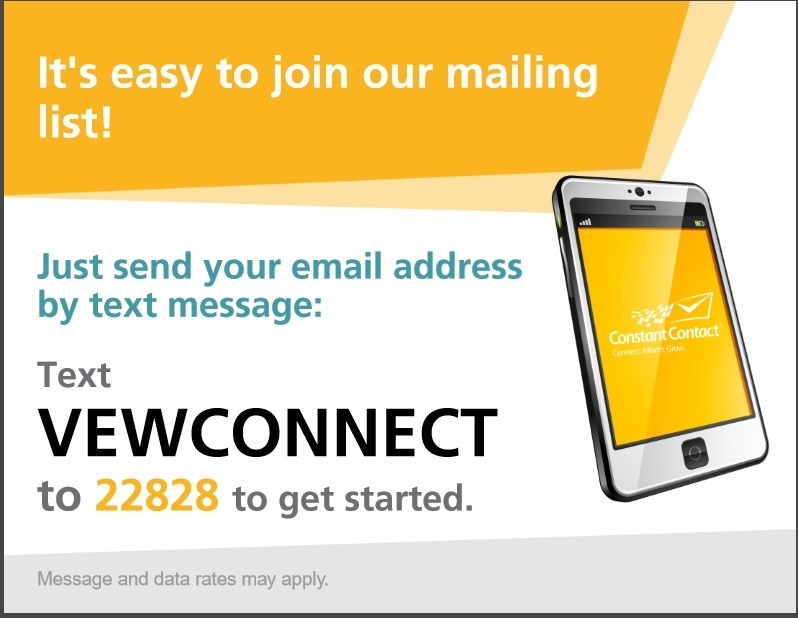 YOU CAN NOW BE A PART OF OUR VEW CONNECT MAILING LIST. STAY UP-TO-DATE WITH OUR DISCOUNTS, SALES AND MORE! JUST SEND A TEXT TO 22828 AND IN THE MESSEGE TYPE "VEWCONNECT". LETS CONTINUE TO STAY CONNECTED !